The Maharashtra police said there was enough evidence to prove that these activists were working to destabilise the government. New Delhi: The Maharashtra Police, under attack from all quarters for arresting five prominent activists, on Friday claimed they have "conclusive proof" that links these activists and those arrested in June to Maoists, mainly in the form of emails and thousands of letters. The police said one of the letters exchanged between an activist and Maoists spoke of planning "another Rajiv Gandhi-like incident to end Modi-raj" and that the central committee of Maoists communicated with these activists through password protected messages sent through courier. An email exchanged between a Maoist and Delhi-based activist Rona Wilson, who was arrested in June, talks of ending "Modi-raj" with a "Rajiv Gandhi-type incident", Additional Director General (law and order) Parambir Singh said this evening. 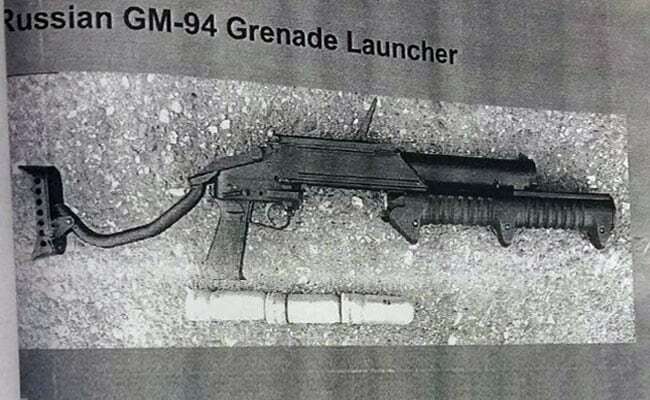 Police also claimed they found a pamphlet for a rocket launcher in one of the seized discs. "A letter written from Delhi-based activist Rona Wilson to Maoist leader Prakash on July 30, 2017, spoke of requirement of Rs. 8 crore for grenade launchers with four lakh rounds", Mr Singh said. Rona Wilson was among five activists arrested in June in connection with the Bhima-Koregaon violence in Maharashtra in January. The other activists were Sudhir Dhawale from Mumbai, lawyer Surendra Gadling, professor Shoma Sen and Adivasi rights activist Mahesh Raut from Nagpur. The activists arrested by Pune police earlier this week - Maoist ideologue Varavara Rao, lawyer Sudha Bharadwaj, activists Arun Fereira, Gautam Navlakha and Vernon Gonsalves - are under house arrest on Supreme Court's orders. The arrests are based on evidence gathered after the June arrests. The police claim they have an exchange of emails between Varavara Rao and Surendra Gadling on how notes ban has hit funding. "We feel a sense of fragmentation in the urban cadre. We have already provided lakhs worth of funding during notes ban to you. There is anger in the atmosphere," the police said a mail from Varavara Rao to Surendra Gadling read. "I want to tell you that due to notes ban, the enemy is conducting searches on road and on rail, we couldn't provide funds to Chhattisgarh on time, I had no wrong intention in this. I have started providing them funding since the last 7-8 days," was Surendra Galding's response to Varavara Rao, according to the police. Police also read out from a letter from a Comrade Milind to Rona Wilson, about exploiting the Bhima Koregaon violence. Again, it is not clear who Comrade Milind is. "Bhima Koregaon agitation has been very effective. The unfortunate death of a youth must be exploited to prepare future agitations and propaganda material. Please explore possibility of new fact-finding to further highlight the incident," the letter read, according to the police. Some of the letters exchanged between the arrested activists spoke of planning "some big action" which would attract attention, police said. The activists, police sources have claimed, were monitored closely for almost one week and Chief Minister Devendra Fadnavis was briefed about "fresh evidence" before the raids.